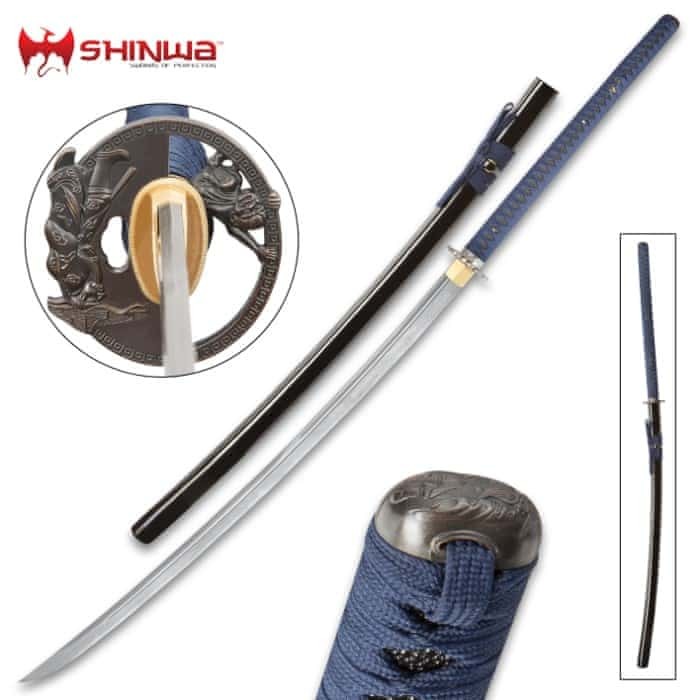 Shinwa Colossus Handmade Odachi / Giant Samurai Sword - Hand Forged Damascus Steel; Genuine Ray Skin; Dragon Tsuba - Functional, Full Tang, Battle Ready - 60" | BUDK.com - Knives & Swords At The Lowest Prices! Like some terrible mythical beast, Shinwa’s “Colossus” Odachi is enormous, powerful and downright frightening. And for good reason! 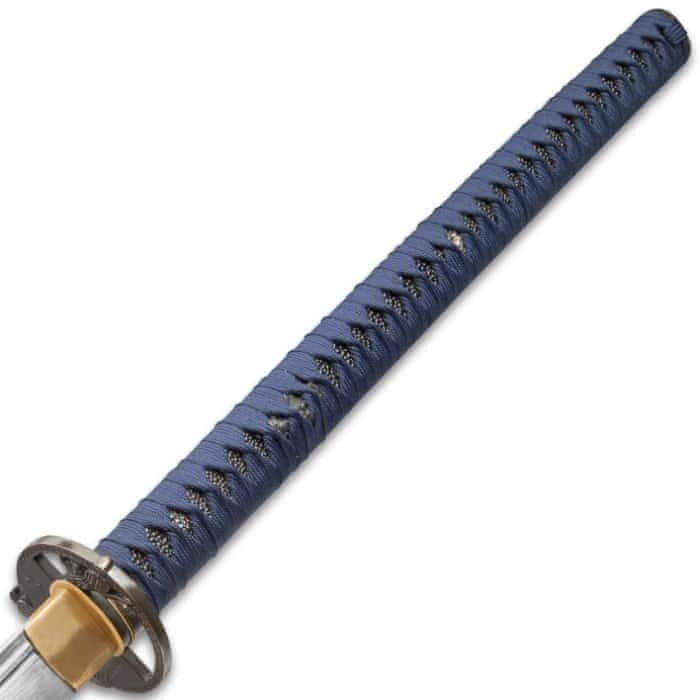 At a monumental 60" long overall, with a fully functional, razor sharp 36" blade, this imposing two-handed samurai sword packs awesome might, savage bite and untamable brutality on par with the biggest, baddest, most terrifyingly oversized beasts of lore. But unlike the Titans, Cyclops, Goliath, the Nephilim or any other giant(s) of legend, the monstrous Colossus is real. Very real. 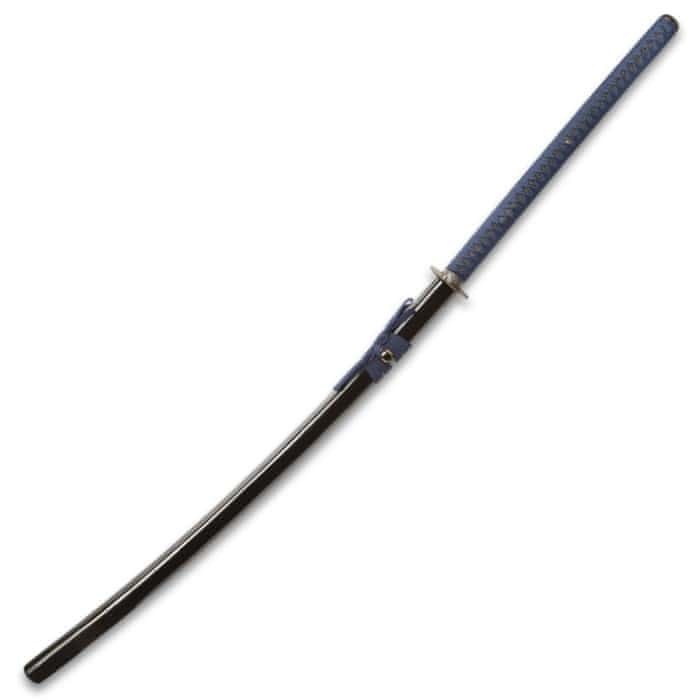 And reality can be far scarier than fiction - especially when you’re on the receiving end of this potent Shinwa odachi. 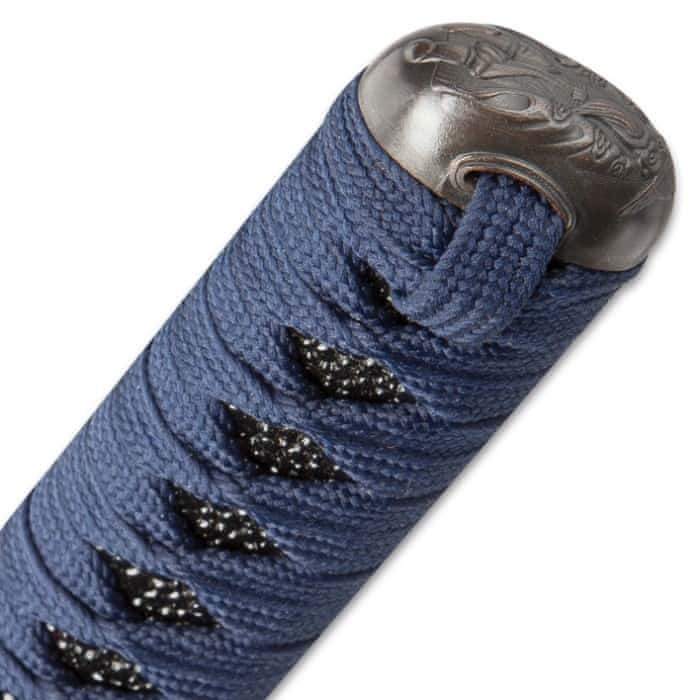 And while most Japanese swords’ style and allure is concentrated at the tsuka, rarely extending onto the unexciting, largely utilitarian blade; the Colossus’ blade is teeming with visual splendor - a breathtaking wonder in its own right. 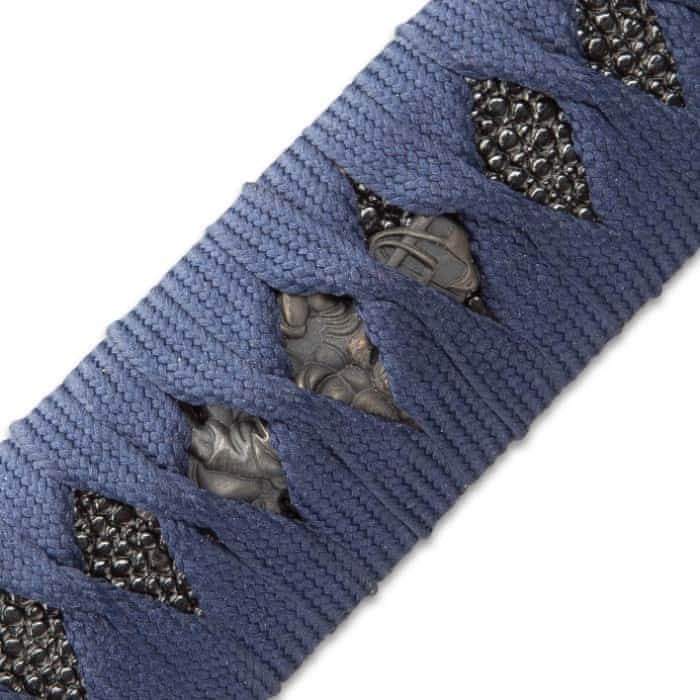 Hand forged from Damascus steel, the bewitching super-sized tanto blade is a tumultuous sea of contrasting lines, waves, swirls and other mesmerizing patterns. Each line is a distinct variety of steel, hammer welded and hand folded repeatedly to yield the more than 2,000 layers in each Colossus blade. The unique metalsmithing technique’s roots stretch back to the Middle Ages, and today it’s still painstakingly performed by seasoned hands - no automation, no mechanization. 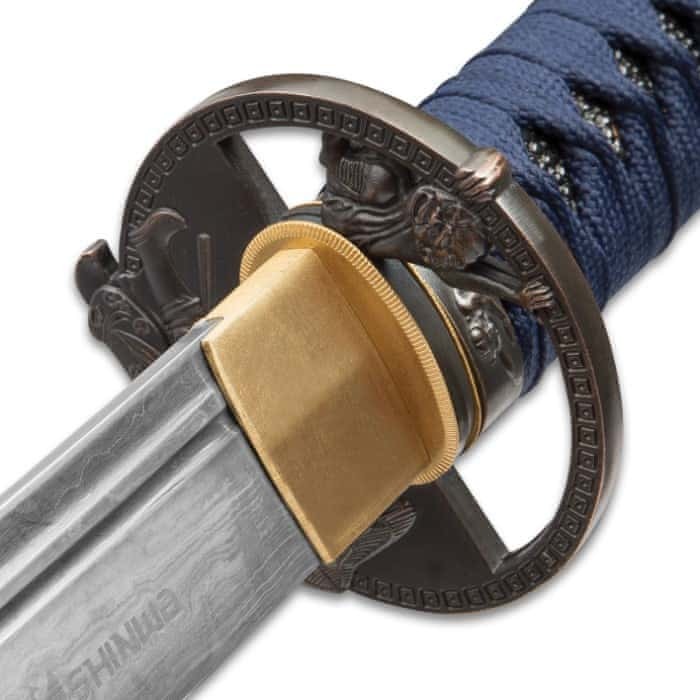 To make each Colussus Nikko blade, a Shinwa master swordsmith fires a stack of steel blanks - each piece a different alloy - in a white-hot forge until the metal glows red hot. He then removes the stack and hammers it until it’s around half as thick as the original. Then he folds the metal onto itself lengthwise and hammers each half together. 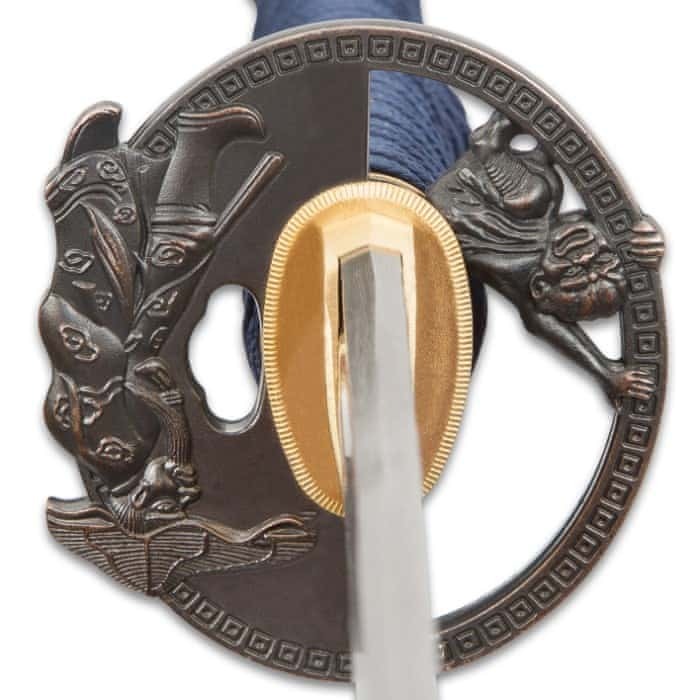 The process is meticulously repeated - hundreds of times in some cases - until the desired layering effect is achieved, at which point a final quenching strengthens the resulting blade blank and an acid etching highlights vivid contrasts in the layers. And the slow, laborious process itself it just the beginning! 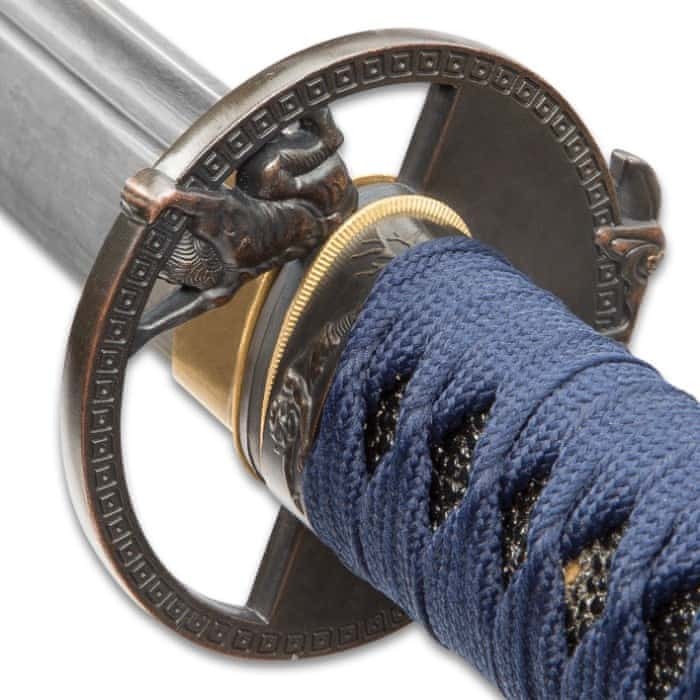 In order to achieve sufficiently dramatic contrasts, Shinwa’s master smiths must expertly select an appropriate combination of steel alloys of varying color, luminescence and other visual qualities. For the sake of strength, resilience and countless additional blade factors, the smiths must also must consider each alloy’s distinct melting point, proper stacking order, forge temperature and myriad other variables. Simply put, an unbelievable quantity of blood, sweat and tears goes into every Colossus blade. Furthermore, like a steel snowflake or fingerprint, the patterning on no two Colossus blades is exactly alike.